The fear of breaking out of the mold and doing something differently than the way it’s always been done is keeping you in a very small box. Problem is, you have to recognize you’re in the box before you’ll be inspired with the creative idea that’ll set you apart and help you stand out in the crowd. I attended a great half-day women’s seminar this week and during one of the inspiring talks they mentioned that the way they did a particular skill they were teaching is “because this is just the way it’s always been done.” You know how when something doesn’t sit right you kind of do that sideways head tilt, eyebrows up look? Yea, that was me in my seat. I was really surprised they didn’t have a better answer to why they did what they did. And whenever someone says that to me, I get excited because what they’re really doing is giving me an exceptional idea of another, more creative, more attention-getting tactic to use. Thank you very much ladies, you just pointed out exactly where I have an opportunity to shine my badass light a little differently. Now, before you start yawning over the “A” word, hear this. It’s awareness, a special mastery of it will help you succeed in anything you want to do in life or business. This special level of aware-ness keeps you tuned into a soul-level connection that serves all your dreams; your unique, magnificent ones; you know the ones you were specifically born for? So please don’t tell me the reason you do something is because it’s always been done that way. If you want to make me yawn, go ahead and try that line. I’m more interested in doing it (whatever it is) in a way that feels so authentically and amazingly to me, there’s absolutely no doubt in my mind it’s the way it was meant for me. The next 6-week online journey starts on May 3rd! 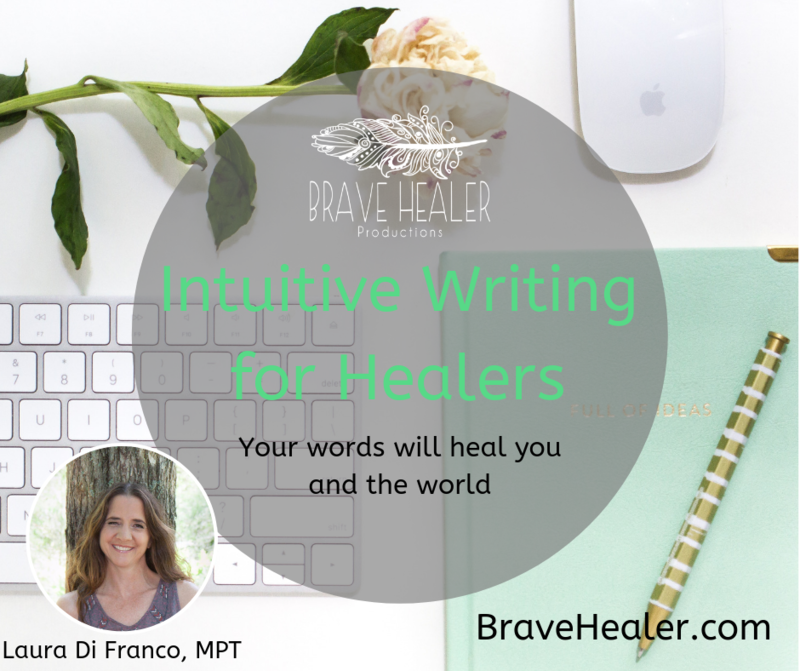 Join me and a badass community of healers/writers, and start changing the world with your words, today! I’m about to break the rule I was taught yesterday. Let’s see if you can pick up the creative way I go about the next section of this blog. Here’s what I suggest instead. Take a pause. Close your eyes and take a breath. Ask yourself, “how would I do this?” Be curious about the unique, different, freakish, or the otherwise amazing way you show up in the world. Do it more like that. And what happens when you do it like that is you give us all permission to be our authentic, amazing, weird, different selves. The selves that are the truest gift to the world. When you get taught a tool and the reasoning behind the skill is “It’s always been done this way,” sit up a little straighter and pay attention. Use your awareness. Don’t just nod your head like a zombie. Question it. And then use that curiosity and awareness to make a clear decision about whether or not that way is good for you. I truly believe many of life’s “lucky breaks” are because we decided, for once, not to follow the crowd, to think, say, do, or express something differently, and to unapologetically go about shouting it out loud to the world. Your fear of not fitting in, it’s boring. Be a warrior. Break the rules once in a while. Believe me, you’ll have more people flocking to your side than you can imagine. People, who just like you, are desperate to be themselves and share their amazing gifts too. 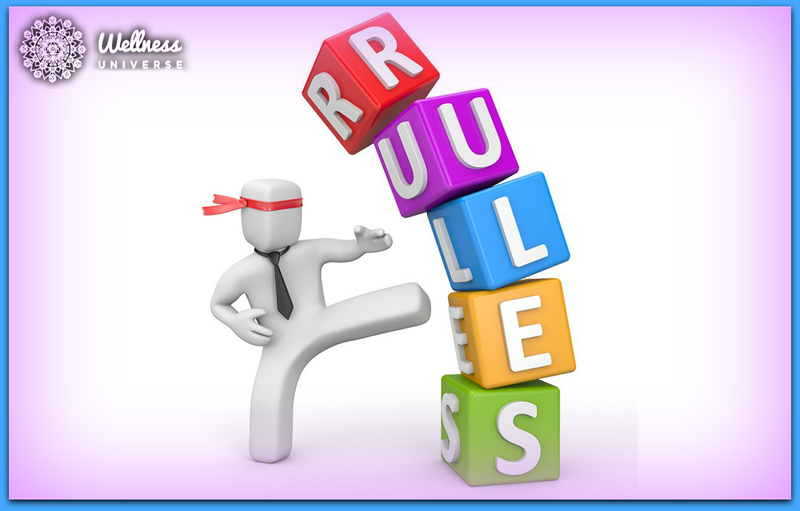 What can you do to live outside of the box and break the rules today? Please share your ideas in the comments section below!